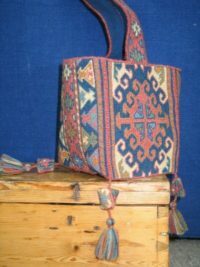 I love old ethnic textiles, especially embroidered ones, this box shaped bag is based on a horses’ nose bag that I have hanging in my sitting room. It is an old Banjara gypsy piece that is covered in richly coloured embroidery complete with tassels hanging on the bottom. 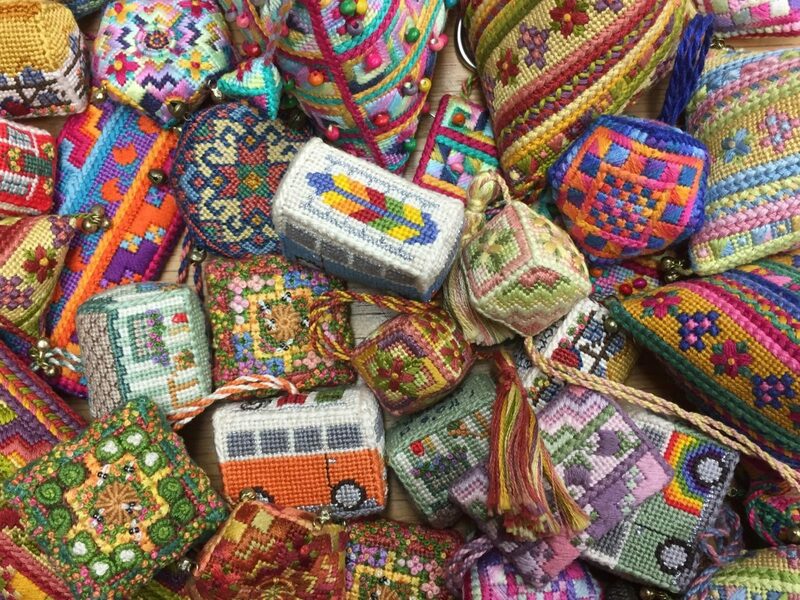 These Indian Gypsies roamed the country finding time to embellish allsorts of everyday textiles with rich embroidery. I am always amazed at the amount of work that was put in to utilitarian items. One can but wonder whether the horse really appreciated all that beautiful stitching as he munched his way through his supper. This kit contains everything you need to make your bag except some lining, you will need 50cm of soft cotton fabric. Worked from a coloured chart on size 14 canvas using Appletons crewel wools. View basket “Turkish Tassel Bag” has been added to your basket.